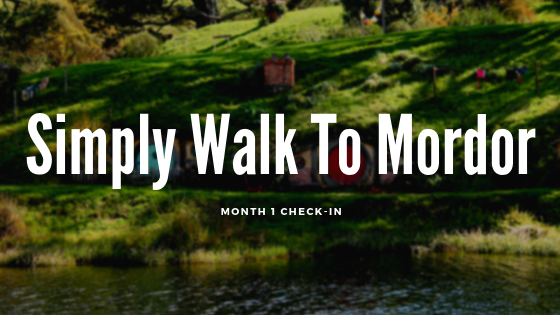 It’s time for another monthly check in with my Simply Walk To Mordor journey. One thing I’ve noticed about the month is I have been posting less on Twitter about my progress. This, I think, is mostly because I simply forget to do it, but also because I’m in a routine at this point and it would be the same kind of posts most of the time, so I don’t want to get too repetitive. I was lucky enough to receive a copy of The Night Agent by Matthew Quirk in exchange for an honest review. First, I must say, what a ride this book was from start to finish. 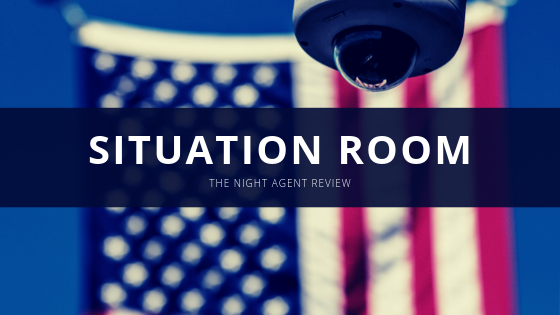 The Night Agent is what I would describe as a political spy thriller designed to make the reader question every character, even the ones who seem “squeaky clean” as it were. Peter Sutherland works for the FBI in the Situation Room where he waits by the phone for someone to call for help. He is working under the shadow of his father’s unfortunate legacy and as a result, wants to do everything by the book. But how far will following the rules take him when he has to find and stop a Russian mole who has infiltrated the White House. Hello everyone! 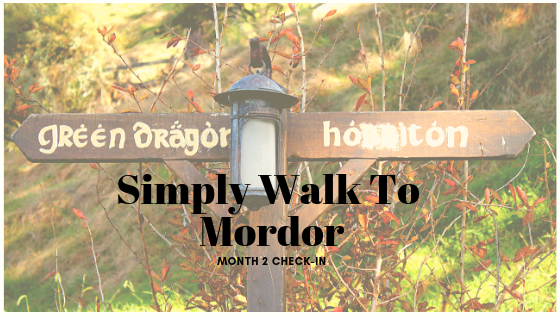 If you’re reading this, you’ll likely be aware I recently started a journey to walk all the way to Mordor and back again. Well, the equivalent distance at least, which is over five thousand kilometres if I include Frodo’s journey to the Grey Havens (5862.40 kilometres to be precise). Anyway, this post is my first monthly check-in on my progress, mostly to keep myself accountable. It’ll help me follow through with this, I swear! First, I would like to say I was incredibly lucky to be given the opportunity to read an advanced copy of The Quintland Sisters by Shelley Wood in exchange for an honest review. I knew I wanted to read this book because, though I didn’t mention it to anyone except some family members, I actually grew up incredibly close to where the Dionne quintuplets (Yvonne, Annette, Marie, Cecile, and Emilie) were born, the first quintuplets known to survive their infancy, and so I’ve heard about them in passing my entire life. This includes seeing the old log cabin that was the family’s home turned into a museum in its former location for many years on the ride to school in North Bay. The museum is not currently open, but it is supposed to reopen this year in a new location, and I hope to get the chance to visit it when I am visiting my parents. I also have driven many times on the highway built into a major highway (for the North) rather being kept as an old country road solely due to the tourism the Dionne quintuplets brought to the area. 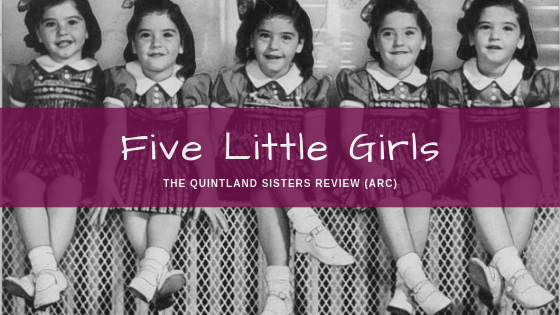 But before I keep talking about all of that, I’d like to focus back on the book The Quintland Sisters and what I thought of this presentation of their story. A little under a week ago, I was debating with myself about whether or not I was going to join a gym in my area. My only issue with doing so is the cost of membership is quite steep for me, especially since I want to be sure I’m getting my money’s worth. I’m also the type who would rather go to group fitness classes rather than just use the equipment they have there. 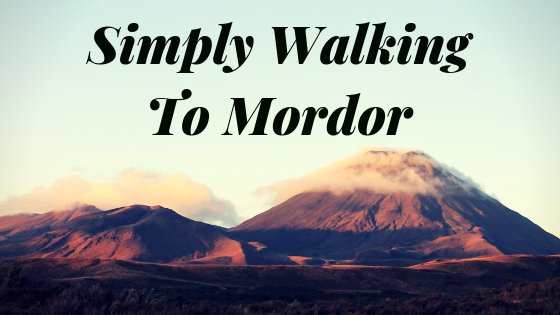 Anyways, when I realized how much a membership would likely cost me at the kind of place I would be best suited for, started looking for alternatives, which brings me to exactly how I stumbled upon the idea of challenging myself to walk to Mordor and back.